But it’s always smart to know the history behind a major rebrand, especially when it’s as colorful as Neways’. Neways is a network marketing company founded in 1987 offering chemically safe beauty and nutritional products. If only they were so conscientious about the legalities of running a business. Neways was consistently hit up with things like illegal distribution of prescription drugs…things you should probably be aware of before considering their “version 2.0” Modere. No wonder they changed their name! 1. What does Neways sell? Neways products are available now on Modere. Type in the URL, and it redirects for you. There, you can find nutritional, dietary supplements, and personal care products, all claiming to be chemical free, plant-based, and botanically enhanced. 2. What are Neways’s most popular products? On the Modere site, you’ll find a unique line of anti-aging products: Mineral Supplement leads the way, with over $1 billion in sales. Collagen Sciences products are relatively new — they support joint, muscle and connective tissue health; counteract skin photoaging; restore youthful skin; and support healthy hair, nails, gums, and eyes. The Lean Body Sculpting System includes products that burn fat and promote lean body composition. 3. How much does it cost to join Neways? To join, you’ll need to fork over $39.99 enrollment fee, plus $359.99 or $659.99 for an enrollment collection. 4. Is Neways a scam? No, Neways, now selling as Modere, is a legitimate business. They aren’t exactly trustworthy, based on their history, but they aren’t a scam. Since the name change to Modere, lawsuits have continued. You can read about them here. Listen, we don’t have anything against Neways and their reboot Modere. But as far as business opportunities go, there are better options out there. Either way, here’s the full review on Neways. Neways is headquartered in Springville, Utah, and was founded way back in 1987 by Thomas and Leslie Mower. The company was originally named “Images and Attitudes,” which is about as 80s sounding as giant bangs and magenta eyeshadow. Good thing they decided to change it in 1992. The direct sales company sells a little bit of everything with a “chemically safe” spin and is operational in 29 countries with its force of over 100,000 distributors and 10 offices. Robert Conlee was named CEO in 2012, a former executive at Xango (CEO) and Nu Skin. Nope, he’s not heading two companies at once: Modere and Neways are the same company. Modere appears to be a rebranding operation, and Neways started transitioning to this new company in 2013. If you visit neways.com, you’ll be redirected to Modere’s website at shiftingretail.com. There’s no mention of Neways anymore. For whatever reason, they don’t want people to make the connection. Perhaps it’s because of legal charges they’ve run into in the past…which include multiple counts of distributing illegal substances (more on that later) AND multiple counts of tax evasion and fraud. How much does Neways cost? The sign-on fee is only $39.99 enrollment fee, plus $359.99 or $659.99 for an enrollment collection. However, there are hidden costs in the monthly autoship requirements. In order to remain active and qualified for the compensation plan, you need to hit 150 PV per month. This means you get 150 PV worth of product shipped to you every single month, whether or not you can actually sell that much. In fact, the company states that their products avoid over 3,000 potentially harmful ingredients. Their team of scientists studies potential ingredients to ensure that they aren’t even acutely toxic to animals or humans. They avoid any ingredients that could be irritating, allergy-inducing, or carcinogenic. Despite all the research they claim to do, Neways fails to provide any list of what those harmful ingredients they avoid are. They do give a few hints: body and bath products never contain DEA, TEA, talc, sodium laurel sulfate, or phthalates, and nutritional products are screened for microbes, pesticides, and heavy metals. Despite all the talk of healthy products, the company has been involved in a number of scandals. 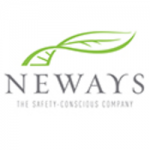 There are no known side effects associated with current Neways products; however, there have been multiple charges against Neways in the past for putting everything from prescription diuretics to human growth hormone in their products. These illegal ingredients have a number of side effects. Commissions on personal sales are given out as the difference between your wholesale price and the product’s retail price. It comes out to 10%-20%, depending on your total orders for that month. The Fast Start Bonus at Neways is a $50 bonus offered to distributors each time they recruit someone new. It’s also given out when distributors hit a certain number in personal sales within their first few months. When your downline orders product, you get a commission based on a unilevel structure. The plan pays out 10% commission to you four levels deep, and then 5% commission another two levels deep. The company also offers Rank Advancement bonuses, a Monthly Selling Award, Breakout Bonus, Leadership Development Bonus, a Unilevel Bonus, and Revenue Sharing Pools. The compensation plan is decent, and the products (aside from those involved in controversy) are generally well-liked. The company has been around since the 80s, too, so they’re somewhat established. However, that established name means nothing after a rebrand. Between that and multiple run-ins with the law, they pretty much started from scratch with Modere. If you are willing to take a chance, you might be able to make a little money, but this isn’t the best opportunity for sustainable income. I’ve been involved with network marketing for over ten years so I know what to look for when you consider a new opportunity, and Neways has some red flags. What do you know about Prime My Body? I would be very interested in hearing your take. I recently got involved and I am not sure it was such a good move…the main product, their Hemp Oil is outstanding, however it is very pricey and is presently being billed out of Mexico…which means having to call your credit card before finalizing a purchase and the there is the added bank fee of five dollars. I don’t know too much about Prime My Body, I might have to do a review on them. Thanks for sharing your input.